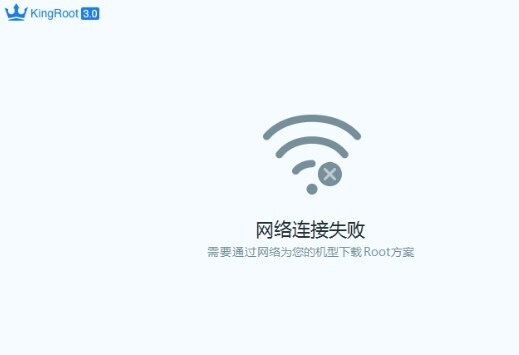 When you try to root your device using root app such as Kingroot, you may face some problems. Actually, Kingroot is a root app which is popular and it is very easy to use because you just need to click on a Root button simply to root your android. Then, the success rate of this app is about 90%. However, it is not impossible that you find a problem when you try to root your android using this app. There are several reasons of rooting failure on your device. First, it can happen because the version of the rooting system with your phone model. You need to know that there are different versions of rooting system which match different versions of the OS and the phone models. If your phone is not compatible with the root tool, it is possible that the rooting failure will happen. Second, failure of rooting process can happen because of the root package. What is it? It is important to know that most android devices support OTA or ICS upgrade. So, copying OTA and ICS to the SD card and upgrade them can be done by you. You are able to root your device by means of flashing your phone. Third, failure of root can happen because of the recovery mode. Some rooting apps ask you to flash your phone under recovery mode. If you fail after you try for many times, you are able to enter the recovery mode before you root it. You can do that by pressing the “Volume -” and the “Power” button simultaneously for a while and then you are able to enter Recovery mode. Fourth, failure of root can happen because of the phone driver. A lot of rooting apps work unless it is connected. You should install the phone driver before you root it. Fifth, the failure of root can happen because some rooting apps work when flashing the phone under Windows XP mode. For instance, users of Win 7 or Win 8 will need to set their PC to the XP compatible mode. Now, what should we do if we get message “device not adaptive” on Kingroot when we try to root our phone? A source claim that if this happen, it means that they have not looked into your phone build and have not made a root technique. It means that you have to wait until it is confirmed with a technique. Another source says that Kingroot studio did not add the device to the app, so it cannot work and you have to wait for the next update of the app until they add it. So, you are able to wait until the update of app is done or you are able to try to downgrade your MIUI version to the oldest one. If you are still curious about this, you are able to try to ask people in the forum of XDA Developers or other forums which talk about android and root apps. Hopefully, this article can help you and thank you for reading this. Related Post "Device Not Adaptive Kingroot"